Hey Guys. I'll be in Taiwan visiting a friend during Chinese New Year from February 18-23. Anyone want to meet up? I'll be near Taipei. Re: I'll be visiting Taiwan to see a friend during CNY. Anyone wanna meet-up in Taiwan? What are some cool things to do in Taiwan? Does anyone know? Ask Rock. Taiwan is boring during CNY. He never stays there during that period because nothing is happening there. Taiwanese do not know how to have fun at all. When you go there, you will see what I mean. The social vibe is super prudish, stuck up, closed, prim and proper, etc. You will appreciate China more after you visit Taiwan. The friendliness in Taiwan is very superficial and platonic, thus ultimately meaningless and empty. There is no genuineness in Taiwan. The culture and mentality is workaholic and infested with a guilt complex of not working enough. It also has a highly negative social atmosphere that is very paranoid and cliquish. Yet Taiwan is like a religious cult in that you NEVER allowed to say the truth about it. Everyone says Taiwan is "so wonderful and friendly", so you MUST KNOWINGLY LIE and say the same as well. Otherwise you will be condemned and ostracized. You are NOT ALLOWED to voice your honest opinions about Taiwan outside of HA. Ask Henry King (in our FB group), Falcon and Bao3niang. They will all confirm this. I hate Taipei this season cus it tends to rain a lot. And I can't stand Lunar New Year cus most everything closes several and people have this 'let's discuss it after the end of the new year' attitude. It's only fun at all if you have some local friends you can hang out with in their homes during the festivities. If you wanna meet local Taipei girls, then PM Monkro. He has developed great techniques which are current and has solid results to show for his efforts. He's about your age - both chronologically and visibly (looks younger like you do) and he's Asian American too. He can probably advise you on how to play up the K-Pop angle too. Bao3niang has not been to Taiwan and hates China too, Falcon likes Taipei in spite of urban Han girls (who he's never beena fan of) cus he's a hit with the Indo's who hang-out at CKS Memorial Hall and Winston...well we all know about that lol. I hate Taipei this season cus it tends to rain a lot. And I can't stand Lunar New Year cus most everything closes and people have this 'let's discuss it after the end of the new year' attitude. It's only fun at all if you have some local friends you can hang out with in their homes during the festivities. No Rock, Bao3niang has been to Taiwan. You can ask him. I talk to him on WeChat a lot and have had indepth discussions about Taiwan with him. He is on the same page as me. The truth is the truth. Bottom line: Taiwan is VERY VERY BORING. No question about it. People don't know how to have fun. Most social life consists of friends or family taking you out to dinner for one or two hours. Then you all go home. They don't hang out late, go to live music venues, sing karaoke, go to romantic places with music and dancing, or ballroom dancing, etc. like people do in Russia and Europe and Philippines and Latin America. In Russia and Philippines, many girls took me to romantic places with dancing, candlelight, atmosphere, etc. That never happens in PRUDISH Taiwan. How come? Can anyone explain that? In Russia and Philippines, I always have people to celebrate holidays and birthdays with. This Valentine's Day, I had 3 girls that wanted to spend time with me here in the Philippines. But in Taiwan, I NEVER have anyone to spend Valentine's Day with. Zero. Zilch. There is nothing but loneliness and boredom in Taiwan. No social life or fun. Those are the facts, and twisting them does NOT change them. Neither does playing devil's advocate. Rock can testify to this. A few years ago, I celebrated my birthday in Angeles City with Rock himself, Hy and Dianne's family and my son. Rock was there so he knows. In contrast, in Taiwan no one celebrates my birthday except my parents, and they don't like to have fun either, because fun isn't in the Taiwanese character. Big difference. No matter how much you try to twist it, the difference is there and it is BIG. Didn't he say he's never been to Taiwan in a post before? If not, my bad. Baoniang when were you in Taiwan and for how long. 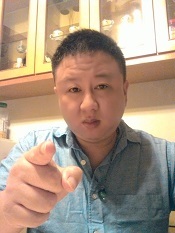 For me personally, if I was 30 and working, I would stay in Taipei, court some girls I met ala Monkro strategies or the ones I used back when I was there, eventually get a local girlfriend, and socialize with her family, classmate and friends network plus my professional circle of colleagues and contacts. That's what I did before several cycles (and played field in between gfs). I absolutely loved that lifestyle and built up a generous chunk of change in the process. But, I would never even consider languishing in the hellhole of rural Chiayi though. But now that I'm way past all that, all I can say is that "it's more fun in the Philippines" lol. Happier Abroad is about custom solutions, not cookie cutter one-size-fits all. To Monkro, HA = Taiwan or Japan. To someone else, it's Mexico/Indo/Philippines/China/German/etc. That doesn't make sense. Just because it's rainy in Taiwan during CNY and everything is closed, doesn't make it boring. Come on. That doesn't make sense. That's like saying that Russia is boring during Christmas because it's snowing and everything is closed. Come on now. No one cares about the weather here. We all care about the social vibe and culture. The truth is, Taiwan is boring during CNY because you aren't having FUN there during that time. Everyone goes to visit their family and doesn't want to have fun with you or party with you until 3am like people do in the Philippines. Why don't you admit it and be honest, because your explanation doesn't make sense. Plus Taiwan is a strict, serious, closed, stern, prudish, workaholic culture. Fun isn't part of the culture in Taiwan. That's very obvious. People don't party til 3am or 4am and don't hang out with you and me all night. You and I both know that. That's why we are here in the Philippines. We both know that, so let's be honest about it. HA is all about truth, not biases. Didn't he say he's never been to Taiwan in a post before? If not, my bad. Baoniang when were you in Taiwan and for how long? I stayed in Taipei during CNY a couple times to hang out with gfs family. The rain and cold depressed the hell out of me though and most of the food places I liked were closed. Also, it was a great one of my big chances to travel because we would get 7-10 holiday from work and I could tack on annual leave (we got 30 days per year of annual leave). For me, weather has a HUGE impact on my mood. That's why I so prefer to go to sunny SW Florida when I visit USA instead of Illinois. In fact, I refuse to go to Illinois now except in summer unless there is emergency reason. But now that I'm way past all that, all I can say is that "it's more fun in the Philippines" lol. Happier Abroad is about custom solutions, not cookie cutter one-size-fits all stuck in a small box thinking. To Monkro at his current stage in life, HA = Taiwan or Japan. To someone else, it's Mexico/Indo/Philippines/China/German/etc. Ok I just talked to Bao3niang on WeChat. Yes he has been to Taiwan 5 or 6 years ago. And he concurs with my observations about it. "Well I don't know. That's the thing. People seem inclined to always defend Taiwan no matter what, even so far as twisting or lying to defend it. It's like some religious cult or something, to always feel that you need to defend Taiwan. Rock does it, and so does my parents. It's as if defending Taiwan is more important than honesty itself, which is weird. I can't think of any logical explanation for this. It's very Twilight Zone like." "I think people defend Taiwan because they feel a sense of guilt if they don't." Did Baoniang just visit for a couple weeks or did he live in Taiwan? Anyway, he was just an early or mid teen back then. I visited Hawaii when I was 12 for 2 weeks but didn't exactly get plugged in there as a kid always with my parents. I haven't lied about Taiwan. Lying is saying or writing something you know not to be true. I've never done that. - It is my HA cherry country. - I dated and had intimacy with more girls I find attractive there than any other country in the world. - I had several serious LT gfs there over the years and got initiated into their family and friend circles. - I amassed virtually all of my savings and assets through my work there. - I get excellent health care there and have comprehensive insurance, all which costs a pittance. - I've never been threatened or victimized there. It's one of the safest countries I've been to. - The infrastructure, cost of living, rich-poor gap, education level, are all excellent, at least in Taipei. - I generally feel more comfortable around shy Taiwanese than communal mainlanders. It takes me longer to trust mainlanders too. So many seem to have this cold calculating reptilian side to them. But this last point is just my persona bias so take it for that. As for Baoniang, doesn't he hate Greater China and the people in general including overseas Chinese? I mean he hardly seems to distinguish between Taiwan and China or other Sinosphere areas like SP. He's focusing in Vietnam to find a girl with Philippines as runner-up, right? I don't feel any guilt about such things. I speak about countries just as see and feel them. As for zboy1, since he's going to Taiwan no matter what, it would probably be more productive for him to speak with positive people like Monkro (or even Falcon about SE Asia domestic and factory workers) than the Taiwan haters. Being negative is not gonna help him enjoy his trip. Rock wrote: I don't feel any guilt about such things. I speak about countries just as see and feel them. Yeah but you spin and twist things sometimes. For example you said that the average salary in Taiwan was 100,000 NT a month, yet you knew that wasn't true. You just spun the data to try to make Taiwan look rich. What do you call that? Isn't spinning things a form of lying? Why don't you say anything negative about Taiwan, and I mean something really negative, not trivial things like the weather? You always seem to defend Taiwan and twist things to make it sound good. Yet deep down you know that what I say about Taiwan is mostly true. Bao3niang can't understand why you do that too, he only says that it's probably cause you made a lot of money there. Clearly you don't find Taiwan to be a fun and happy place. Yet you defend it because Taiwan is a religious cult that you MUST defend at all costs. Otherwise, why do you have nothing negative to say about it? LOL. Think about that. Because you are programmed to not say anything negative about it. The religious cult of Taiwan seems to affect you too. Sure it would be more helpful to listen to pro Taiwan people. But that doesn't mean anything will change. Words don't create reality. I can be positive about Taiwan all I want, but it doesn't change the fact that I'm sad, lonely and bored there and feel like crying. It doesn't change the fact that I have no one to celebrate birthdays and holidays with there. All of this is very sad and makes me want to cry. But saying positive things does NOT change that. I can say that Taiwan is great, but it would be a lie. I can say that Taiwan is fun, but that doesn't change the fact that my only social life there is having relatives come over for dinner or taking us out to dinner for one or two hours. I mean I love my relatives, but how the f**k can that be the LIMIT of my social life there? WTF? I've asked my dad many times this question: "If Taiwan is so friendly, then why can't I make real friends there?" He cannot answer that. This speaks volumes. Twisting facts doesn't change the above. Neither does being positive. The truth is the truth. Actions speak louder than words. You don't live in Taiwan anymore, yet you are afraid to say anything negative about it. Others have noticed that too and found is strange. Why don't you dish out some real criticisms of Taiwan? You can't because the religious cult of Taiwan prevents you from doing so. Btw, what does it matter how long Bao3niang was in Taiwan for? If he says one week or one month, you will try to twist that against him and say that he wasn't there long enough in order to try to discredit his views on Taiwan. Why can't you just accept that many intelligent honest people agree with me about Taiwan being closed and weird and judgmental? Some recent posts from Henry King in our closed Facebook group about Taiwan that boldly tell the truth. "Do you know why people hate getting close to one another in Taiwan and America? May be the primary reason is because of the bad attitudes prevalent in spoiled places like Taiwan and America. Think about it, if you get close to people, they will judge and criticize you, humiliate you, insult you and spill bull craps all over you, do you still want to get close to them? In Taiwan and in America, there are constant, never ending condemnations. It is like there is always something wrong with you, it is like you are never good enough and you need to feel guilty until you do. You are always a waste of the society's resources in Taiwan and America. Because of this 'guilt,' I did many stupid things when I was young. But when I got older, I realized that it is a big bull crap. It is a social method that the society uses to exploit you, a vicious social control. In Taiwan and in America, the society constantly puts you down and breaks you down. The society constantly tries to create a failure out of you. This is a big load of bull craps. It is just a big social control. In Taiwan and in America, you can only say things the society allows you to say. The unspoken social rule in Taiwan and in America is this: talk only the positive things, the nice things and if you talk about things, talk in a positive and nice way. That is why most people do not know how nasty people really are. Instead, we get the cliches such as: the world is the strong eat the weak, people are motivated by greed and money, people step on your weakness, people step all over you to get to places and if you are nice to people, they take advantage of you. These cliches obscure the reality and present the society in a way that is far too nice. These saying misguide people and make people lost. Why do people talk about people skills and verbal skills in Taiwan and in America? Or, the correct ways to interact with people and to talk to people. If you go to China, people just don't talk about these as much. Why is that? I bet you in Brazil and Russia, they will not talk people skills and verbal skills that much either. I think people skills and verbal skills are there to accomodate the bad attitudes prevalent in Taiwan and America. In Taiwan and in America there are constant, never ending condemnations. It is like something is wrong with you all the time and you are never good enough. It is like you must feel guilty because of your existence until you are good enough. Because of that, I did many stupid things when I was young. When I got older, I realized it was a social ploy the society uses to exploit you. So, whenever I got impulsive again, I tell myself this: I am a Chinese man, in China, people cut you down all the time but some people will value you, you will have some dignity in China no matter what. Try to see yourself from this Chinese perspective. You don't need to prove anything, you do not have to be good enough in anything. Ignore this illusion from Taiwan and America. Do you need to do this? If not, don't do it!" "Winston Wu, you are about to go to China and this gives me an excellent idea. Winston, if someone in the future were to say to you: Taiwan is a very warm and friendly place, I think this is what you can do. You can say: if Taiwan is so friendly and warm, then how come every time you approach someone in McDonald or Starbucks or any place in Taiwan, they are so scared and avoid you like a pestilence? How come if I do the same thing in China, people will talk to me and such behavior may even yield friendship? Winston, you can try cold approach in China and I am sure it will work. You will then really appreciate the difference between China and Taiwan in terms of the social environment." I SENT YOU A FEW LINKS TO DATA FROM THIRD PARTY SOURCES INCLUDING GDP PER HEAD (NOMINAL AND PPP). AND THEY WEREN'T 100K NT$ PER MONTH (HOW CONVENIENT THAT IS'S SUCH A ROUND NUMBER LOL). THAT'S THE BEST I CAN DO UNLESS I GO OUT AND DO MY OWN SURVEY. I WORKED SPECIAL INDUSTRIES AND FIRMS WHICH PAY WAY ABOVE THE NORMAL LEVEL SO IF I USED ANECDOTAL DATA, THE FIGURES WOUD ONLY BE HIGHER THAN THE THIRD PARTY DATA IN THOSE LINKS. AS FOR FOREIGN ENGLISH TEACHERS IN TAIPEI, THE FEW I KNEW OF MADE 60-90K PER MONTH. Clearly you don't find Taiwan to be a fun and happy place. IF SO, WHY DID I REMAIN THERE SO LONG EVEN AFTER I STOPPED WORKING IN COMPANY? I'VE NEVER LIVED IN ANY FOREIGN (NON USA) COUNTRY AS LONG AS I DID TAIWAN. ACTIONS DO COUNT. Yet you defend it because Taiwan is a religious cult that you MUST defend at all costs. Otherwise, why do you have nothing negative to say about it? LOL. Think about that. Because you are programmed to not say anything negative about it. The religious cult of Taiwan seems to affect you too. I LISTED ALL THE NEGATIVES I COULD COME UP WITH ABOVE. IF ANYMORE COME TO MIND, I CAN MENTION THEM IN ANOTHER POST. BELIEVE IT OR NOT WINSTON, USA IS A VERY HAPPY PLACE FOR HUNDREDS OF THOUSANDS IF NOT MILLIONS OF GUYS. SO MUCH BOILS DOWN TO INDIVIDUAL. TAIWAN WAS GREAT FOR ME MOST OF THE YEARS I WAS THERE. BUT IT WAS MISERABLE FOR YOU. MONKRO TOLD ME THAT HIS LAST MONTH IN TAIWAN WAS THE HAPPIEST TIME EVER IN HIS WHOLE LIFE. YOU SEE, TRUTH AND REALITY ARE IN PART RELATIVE TO THE INDIVIDUAL. WE ALL SEE THE WORLD THROUGH ARE OWN LENSE. YOU SEEM TO HAVE SUFFERED SOME EMOTIONAL TRAUMA IN TAIWAN JUST AS YOU DID IN USA. THE GOOD NEWS IS THAT YOU CAN AND DID FIND ENVIRONMENTS WHERE YOU FIT IN A LOT BETTER. MAYBE ESTONIA, MAYBE MADAGASCAR ARE ABSOLUTE TOPS FOR YOU, WHO KNOWS? THAT'S FOR YOU TO FIGURE OUT. BUT IN PURSUIT OF REALITY, DON'T TRY TO MAKE EVERYONE FIT INTO THE WINSTON PEG. PHILIPPINES AND RUSSIA ARE GREAT FOR SOME PEOPLE BUT TERRIBLE FOR OTHERS. IT'S NOT ACCURATE TO ASSUME THAT EVERYONE WILL EXPERIENCE EACH COUNTRY JUST AS YOU DO. DEVELOPED NE ASIA IN GENERAL IS VERY TOUGH FOR A LOT OF WESTERNERS. IT TAKES A SPECIAL TYPE TO FIT IN LONG TERM. BUT TAIWAN IS DEFINITELY CHEAPER AND EASIER THAN S.KOREA OR JAPAN, THAT'S FOR SURE. SAYING A PLACE IS GREAT IS AN OPINION. ITS BASED ON THE IMPRESSION OF THE ONE MAKING THE STATEMENT. IT WOULD ONLY BE A LIE IF THE PERSON SECRETLY FELT THAT THE PLACE WAS NOT GREAT. IMAGINE A GIRL TELLS YOU SHE FINDS YOU SEXUALLY ATTRACTIVE. AS LONG AS SHE IS ATTRACTED TO YOU SEXUALLY, THEN SHE IS BEING HONEST. IT'S ONLY IF DOESN'T MEAN THAT AND IS SAYING IT FOR SOME OTHER REASON (TO MAKE YOU FEEL GOOD, TO GET SOMETHING FROM YOU, ETC.) THAT SHE IS LYING. ANOTHER EXAMPLE IS FOOD. DIFFERENT PEOPLE LIKE DIFFERENT THINGS. SO WHAT'S GREAT FOR ONE PERSON MIGHT BE CRAP FOR ANOTHER. BUT SOME PEOPLE IN TAIWAN HAVE LOTS OF FRIENDS. SO IT STILL DEPENDS ON THE PERSON. MY EXES BROTHER HAS A LARGE CIRCLE OF FRIENDS AND HER DAD HAS EVEN MORE. I LIVED IN TAIWAN BY CHOICE MORE YEARS THAN ANY OTHER COUNTRY ON THE PLANET. BECAUSE TO REALLY GET TO KNOW A PLACE, YOU NEED TO SPEND A LOT OF TIME LIVING THERE, NOT JUST PASSING THROUGH AS A VISITOR. LOOK AT WHAT THAT RECENT NEW POSTER HAD TO SAY ABOUT PHILIPPINES AFTER SPENDING JUST 10 DAYS HERE. HE FELT LIKE GIRLS HERE ARE LESS INTERESTED IN HIM THAN IN USA. Interestingly, my friend (who is White) does not like Taiwan and says the women there can be a bit unfriendly. He also says that both Taiwanese people and White foreigners living in the country are unfriendly. So I think his point of view matches that of Winston. Still, I want to go Taiwan and experience things for myself. As Rock has said many times (and which I agree), people have different experiences in the same country. I will try to PM Monkro to get some tips about Taiwan directly from an experienced source. Even with all the negative things you've said about Taiwan, Winston, I hope to enjoy my trip to Taiwan, nonetheless. I hear it's a beautiful country, so I may even post some pictures from my trip there on this forum.